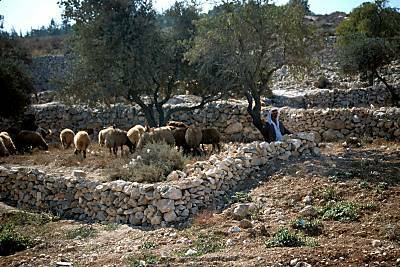 Bethlehem is located about 5 miles just south of Jerusalem. 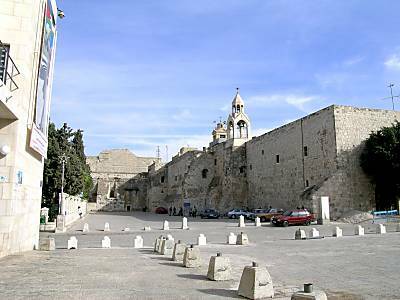 This is the city where Jesus was born around 4BC. The city where Herod the Great ordered the killing of babies. The city of David (but not to be confused with the Jebusites’ City of David). We opted to stay on the tour bus and just take photos out the window. The photos not taken from the bus were ..umm.. the result of long research on the ‘net. 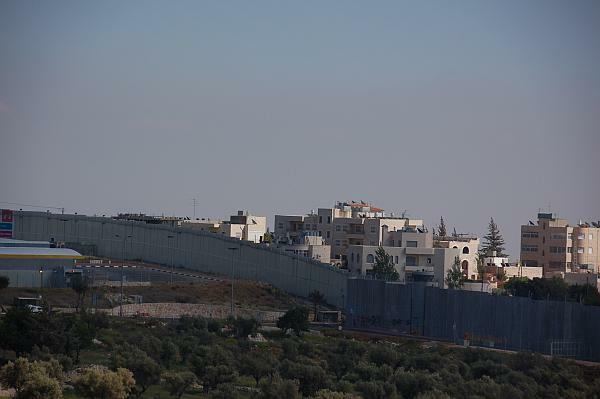 You can see the wall that the Israelis have been building in order to reduce terrorism. Apparently it works quite well. Maybe when they’re done we can have them come build one on the south border between the US and Mexico. 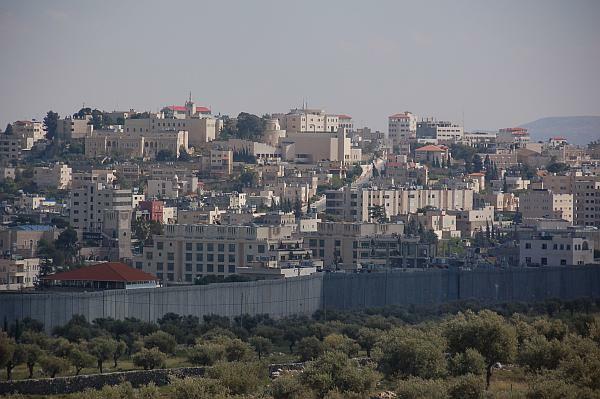 The traditional location for the birth of Christ is to the east of Bethlehem. Here are some shepherds hanging out with their flocks near some terrace gardens. Here’s the Nativity Church – for what it’s worth. Dr. Dave said the area was not very impressive. Even our Arab bus driver didn’t care for the area. Turns out that this church is the oldest standing church in the Holy Land. So maybe it has been granted some divine protection after all. 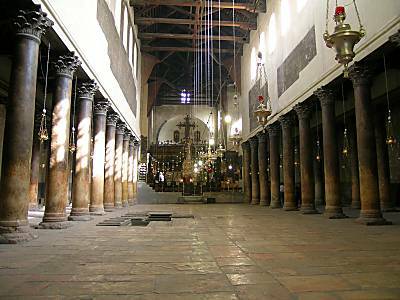 Like most churches in the area, it was built by Constantine’s mother in the 4th century. Rumor has it that it was spared destruction by the Persians in 614AD when they saw depictions of Persian Magi on the walls. 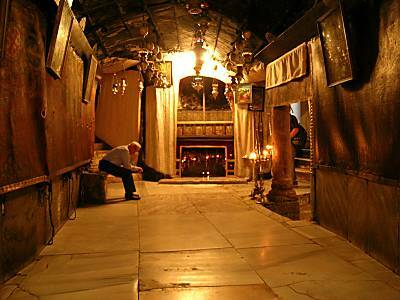 Here’s the cave where Jesus was supposedly born in. I bet that guy is selling postcards for $1. And it’s not enough that a church be built over each and every possible spot of Biblical significance. 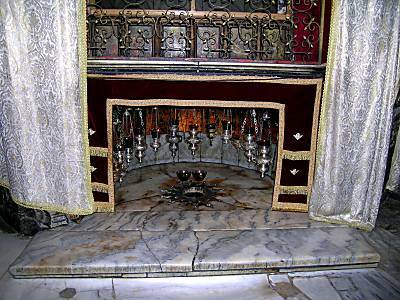 On the star on the floor of that fireplace-looking thing we have (drumroll, please), the very spot where Mary gave birth to Christ!